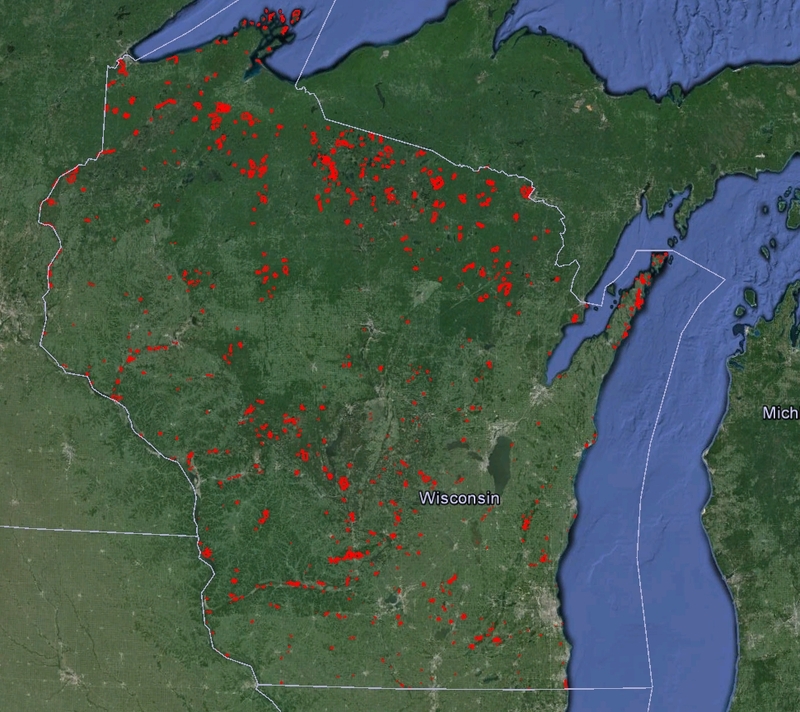 The DNR used to provide a tool on their website known as the SNA Map Viewer. It would provide a simple boundary of each SNA overlayed on a satellite image. Exact GPS coordinates of SNA boundaries, parking areas, or points of interest could be obtained by clicking on the map. When I started my SNA visits in 2009, the Map Viewer was already out of date. It did not include any SNA’s beyond approximately 545, when there were 600 SNA’s at the time. In late 2012, the DNR took the Map Viewer offline because it was no longer being updated, though I would argue it was still a useful tool. 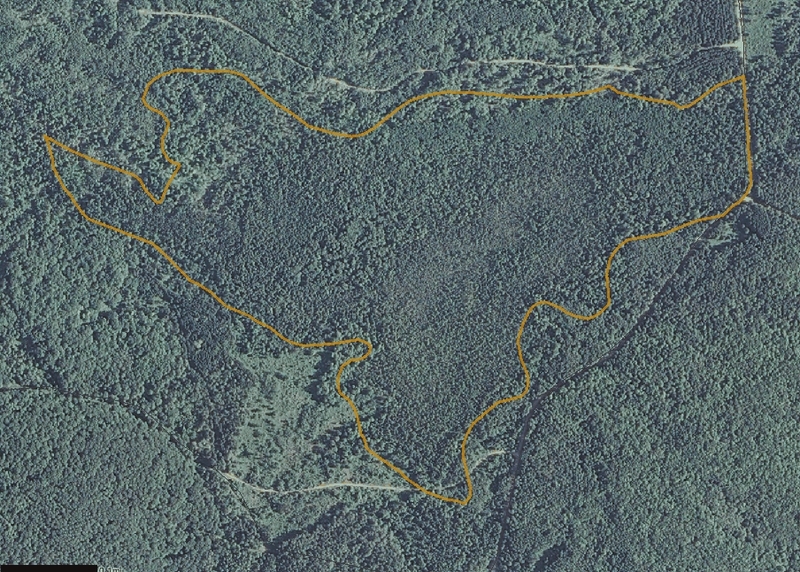 Left without this tool, I started to map the boundaries myself in Google Earth. I teamed up with a friend and we finished the enormous task of mapping each SNA boundary by hand, either by hand using a mouse to draw meandering lines in Google Earth or by overlaying a topographic map and tracing the SNA boundary. All SNA boundaries as mapped in Google Earth. Selected SNA boundaries from Oneida County. Around this same time, Google started adding SNA boundaries. Most of the time these are accurate, sometimes they are not. Additionally, numerous SNA’s are not included because of their restricted status. Subsequent to the completion of our mapping of all SNA boundaries, the DNR unveild a new Public Access Lands map which includes many types of state lands including SNA’s. It is fairly nice, but I have found it to be rather clunky and overly complex for what I need it to do. Additionally, it is not updated with great speed and its search functionality is questionable at best. I’ll stick with our own mapping boundaries, thank you very much. Side note: the State of Minnesota had Google Earth files for each of its Scientific and Natural Areas on individual webpages. I emailed them and they sent me two files, one with all of the boundaries and one with exact parking coordinates and they subsequently added links to both on their website. Wisconsin does not use Google Earth or an easily compatible format so I did not even bother asking. We have also added many other types of natural places to the map including state parks, state recreation areas, state trails, state wildlife areas, the Ice Age and North County Scenic Trails, and various lands owned by numerous regional land conservancies such as The Prairie Enthusiasts, Door County Land Trust, Mississippi Valley Conservancy, The Nature Conservancy, and the Natural Heritage Land Trust. The map is always being perfected. 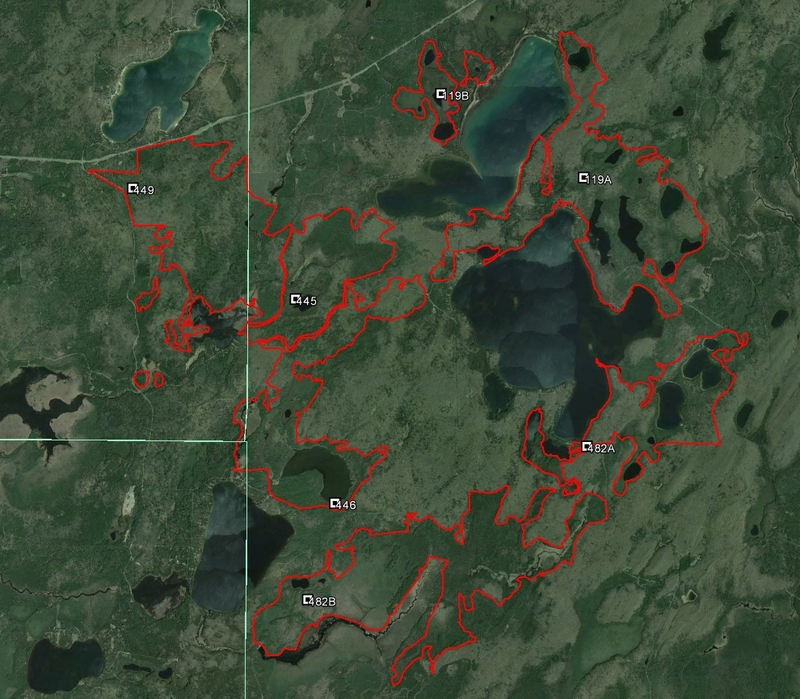 Boundaries are added as the DNR adds new SNA’s. Others are updated when the DNR modifies them. Other types of natural lands are added as time allows. It is work but fun at the same time.